On the afternoon of January 18, 2013, 42-year-old Jonathan Quinlan decided to cap off a morning/early afternoon of drinking by ordering himself a pizza from Papa Gino's. At approximately 3:00 PM, a 22-year-old female delivery person arrived at his home with his order. When Jonathan opened the door, he asked the young woman to step inside and place the pizza on the coffee table while he got the money to pay for it. Unfortunately for her, things were about to get very weird (and incredibly creepy), starting with the fact that as she attempted to leave the premises, Jonathan repeatedly blocked the door. But what seemed like the beginning of a terrible serial killer/slasher horror movie scenario was not at all what Jonathan had in mind; he actually wanted to make the delivery girl his wife. Jonathan began by telling her how beautiful she was and expressing his desire for them to have children together. After drunkenly describing what he hoped to be their future together, he then finished up his romantic soliloquy with the classic lady-killer line of "You can't leave; this is destiny." 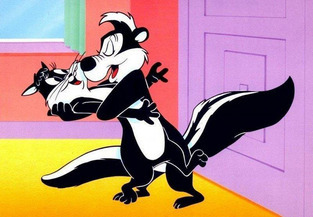 This tactic never seemed to worked for PePe Le Pew, either. Unfortunately, Jonathan's attempts at romance hit a few major pot holes (besides the fact that the object of his affection was feeling extreme levels of disgust and terror). First, he offered the young woman $1,000 to stay with him...which is pretty bad in and of itself. Even if she somehow had the slightest inclination to give the guy a chance (which she didn't), propositioning her as if she were a prostitute would have pretty much killed it. To make matters even worse, Jonathan took the "reverse negotiation route" after her initial refusal and dropped his offer down to $500. And just to make sure that there was absolutely no way you could even feel sorry for him, he then preceded to kiss and squeeze his hostage while also rubbing his crotch against her leg. "Okay, now even I think this guy's a jerk." After 40 minutes, the traumatized delivery girl decided to give him a fake phone number. As Jonathan took it, she used the opportunity to escape out the door (but not before he chased her down three flights of stairs). The delivery girl then called the police, who later arrested Jonathan at his apartment on charges of kidnapping, assault and battery, and indecent assault and battery. 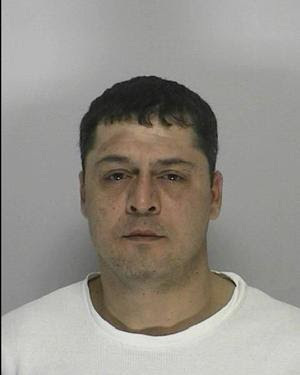 Jonathan Quinlan's bail was set at $10,000. He is due in court on February 19. He also still claims that he thought the encounter was consensual. ...and he probably watches way too many X-rated movies.